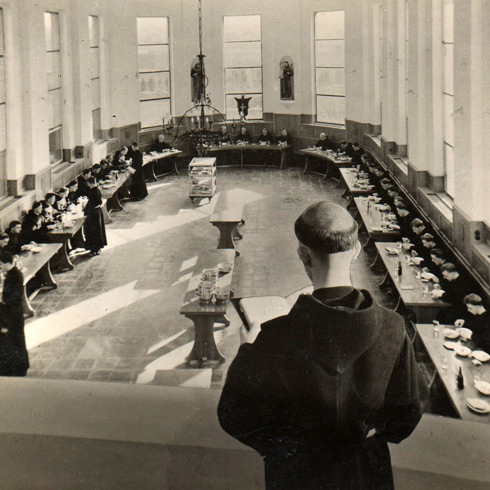 In 1934, the Franciscans decided to build a convent in the neighborhood called « Le Chant d’Oiseau » in Woluwe-Saint-Pierre. The architect Camille Damman (1880-1969) was designated to design the building. He is known for being part of the second generation of « geometric art nouveau architects ». He is famous in Belgium and in France for numerous houses and collectivity buildings. 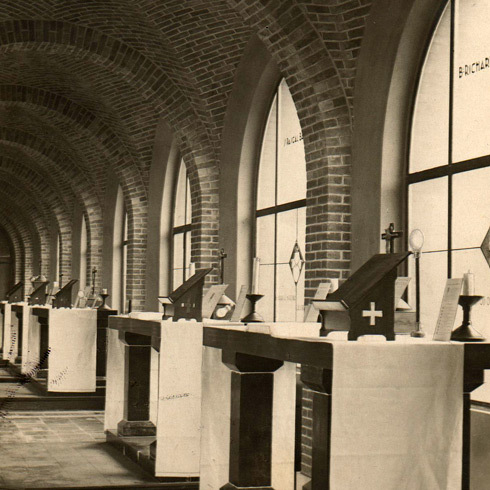 The convent was founded in 1935 as a center for studies and intellectual reflexion. 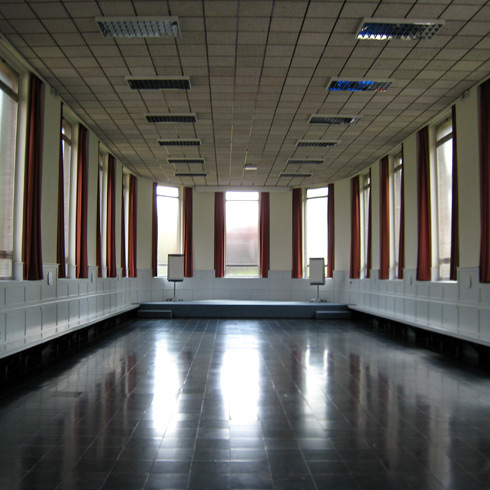 As soon as the convent opened, the Franciscans also decided to set up their training centre for future priests. It was used as such until 1968. 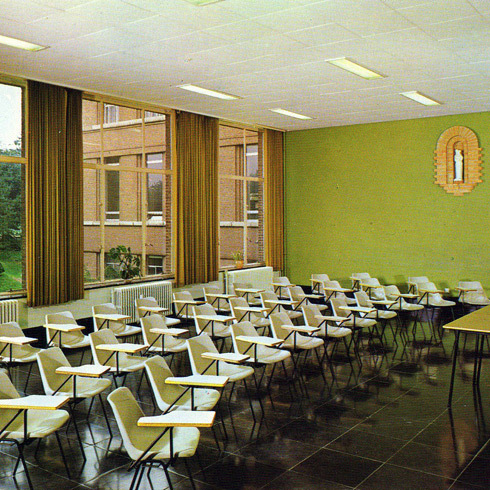 Priestly vocations becoming increasingly rare, the students abandoned the « Chant d’Oiseau » for smaller training structures. At this time, the decision was taken to keep the infrastructures and use them to develop spiritual trainings or trainings not opened to the public. The centre was hence named the « Maison Notre-Dame du Chant-d’Oiseau, Training Center ». 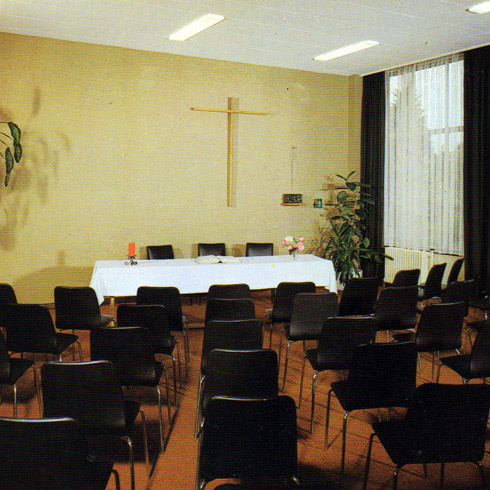 At first, the management of the centre was ensured by members of a religious order. Later, this task was assigned to a non-religious management staff. However, the buildings have remained, to this day, the property of the Franciscan order. In fact, a Franciscan community still lives in a wing of the buildings. 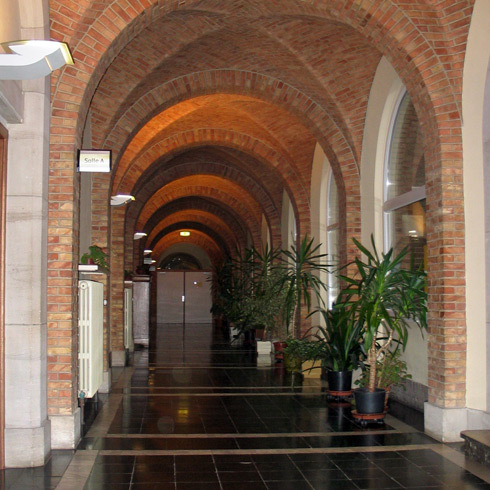 Throughout the years, the buildings have been renovated and some areas have been transformed and serve new purposes. 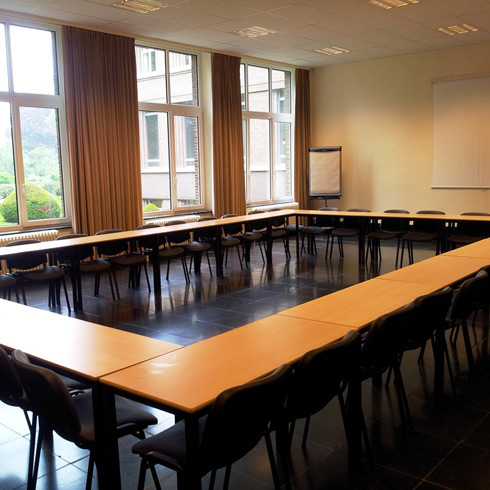 For instance, the former dining room has now become the largest Meeting Room of the center (Polyvalent room). 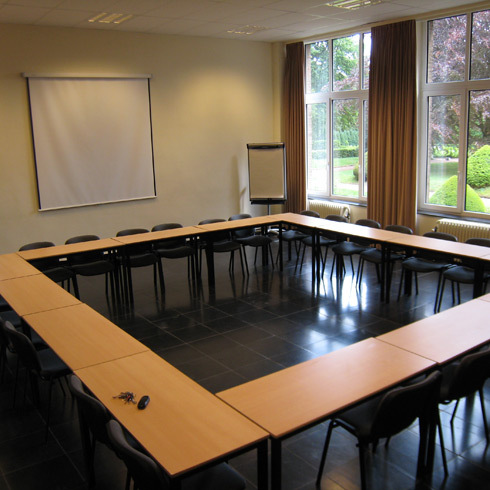 Likewise, the former convent’s library is used today as the meeting rooms 1 to 3.